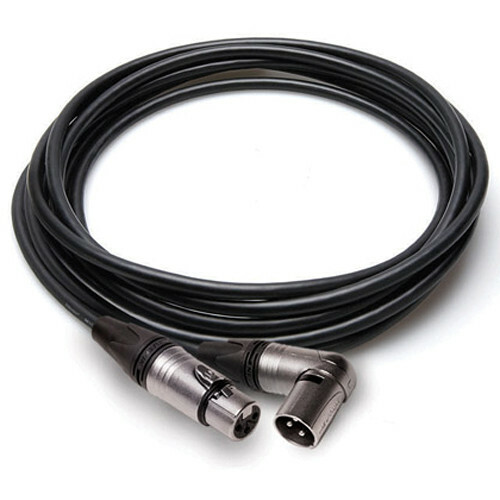 The twenty-five foot Neutrik XLR3F to Right-Angle XLR3M Camcorder Microphone Cable by Hosa Technology features high quality Neutrik connectors, 24 AWG OFC (Oxygen-free Copper) conductors and OFC braided shielding. The right-angle XLR3M offers easy access to hard-to-reach XLR outputs. It is designed to deliver the most neutral, noise-free signal and dynamic tone possible and is backed by a limited lifetime warranty.